In the midst of all the partisanship and division we hear about in Washington these days, there are also examples of constructive legislating making a positive difference in people’s lives. One place this occurs is in the Senate Permanent Subcommittee on Investigations (PSI). The most recent example was last week when the president signed the bipartisan Synthetics Trafficking and Overdose Prevention (STOP) Act into law. The STOP Act is legislation I authored informed by an 18-month PSI investigation into how overseas drug traffickers, mostly in China, exploit international mail screening to ship fentanyl—a deadly, synthetic form of heroin—into the U.S.
PSI also conducted an undercover investigation to track the payment and shipment of these drugs. By posing as buyers, our investigators found that these drugs are available through a simple Google search, and overseas sellers essentially guaranteed delivery if the fentanyl was sent through the U.S. Postal Service (USPS). While federal law required private mail carriers to get advance screening data on packages entering the U.S. to allow law enforcement to identify and stop suspicious packages and prosecute the traffickers, the Postal Service was exempt. Our conclusion at the end of the investigation was clear: we need this advance data on all packages coming into the U.S. — including those sent through the Postal Service — to combat this epidemic. That’s exactly what the STOP Act requires. It will save lives. This is how Congress is supposed to work. And this is just the latest example of the investigative and legislative process working in a bipartisan manner through PSI. I know some days it can seem like Congress is broken, but I’m proud of the work we are doing through PSI. 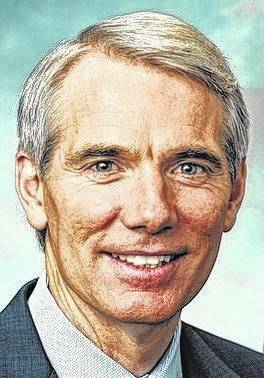 Rob Portman is a US Senator from Ohio. Contact him through his website www.portman.senate.gov/public/.